ASABA— Herdsmen, Sunday night, reportedly attacked Obin-Ayama community, Ika North-East and Onitsha-Olona, Aniocha North Local Government areas, Delta State, killing two persons, including a hunter, and inflicting machete injuries on his colleague. This came as three persons were arrested by the Police at Ogbelo-Ogume community, Ndokwa West Local Government Area of the state for cattle rustling. Though details of the attack on the hunters were scanty at press time, sources said they were in the bush close to Ndemili, Ndokwa West, at about midnight, when they were accosted by the herdsmen. Meanwhile, the circumstances which led to the reported killing of the unidentified youth by the ravaging herdsmen on a bush path at Onitsha-Olona were still hazy at press time. Contacted, Police Public Relations Officer of the state command, Mr. Andrew Aniamaka, could not confirm the incident. He, however, said three cattle rustlers were arrested by the Police and vigilante team at Ogbelo-Ogume community. Aniamaka said a 17-year-old herdsman had reported that he was attacked in a bush at Umuseti by three persons, who beat him up with sticks, tied his limbs and made away with 12 of his cows. 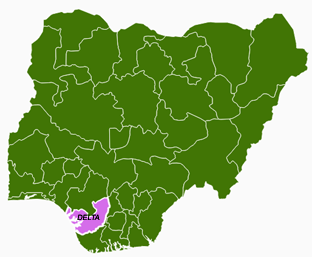 The post Herdsmen kill 2, injure another in Delta appeared first on Vanguard News.